Description: RX3i Genius Bus Controller (supports I/O and Datagrams). Module connectsto the serial bus. 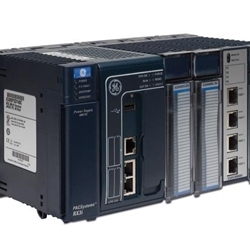 Requires CPU firmware 2.9 or higher and requires Proficy Machine Edition Version 5.00 SP1A Logic Developer-PLC, Hot Fix 1or later for configuration.